I am confused about your spelling of Yahshua's name. You spell it differently than any I've ever seen, and I don't even know how to pronounce it. This might be a problem for me - I don't know if I can get used to it. Can anyone take a minute to explain the thinking behind it? Thank you so much! I guess it is time for us to discuss this in more detail. It is usually a given that Iesous would be interpreted as Jesus – although the 1611 KJV-AV and the 1560 Geneva both used the name Iesus instead of Jesus. Why, then, would the NKJV, NIV, ESV, and the NASB use the name Joshua? Matt 1:16 ιακωβ δε εγεννησεν τον ιωσηφ τον ανδρα μαριας εξ ης εγεννηθη ιησους (Iesous) ο λεγομενος χριστος (Christos). We can therefore determine exactly what all of the modern scripture interpreters have concluded in the translation of the passage in Ivriym (Hebrews) 4:8. The Messiah has the same name as Joshua son of Nun. In the Greek, this name is Iesous (Ιησοῦς); so, what is Joshua’s name in the Hebrew? Enter the Hebrew word יְהוֹשֻׁעַ (Strong’s H3091). This word appears as YAHUSHA 197 times in the Masoretic text; in two occasions, the word is spelled יְהוֹשׁוּעַ (Yahushua). In our view, this is conclusive evidence of the spelling of the name. Now, as to its pronunciation: the tetragrammaton, according to Yocephus in The Wars of the Jews, Book 5, Chapter 5, Section 7, the tetragrammaton was pronounced as four vowels. We believe those four vowels are: ĒĂŪĂ (YAHUAH); However, יְהוֹשֻׁעַ is pronounced ĒĂŪSHǝ (YAHUSHA). 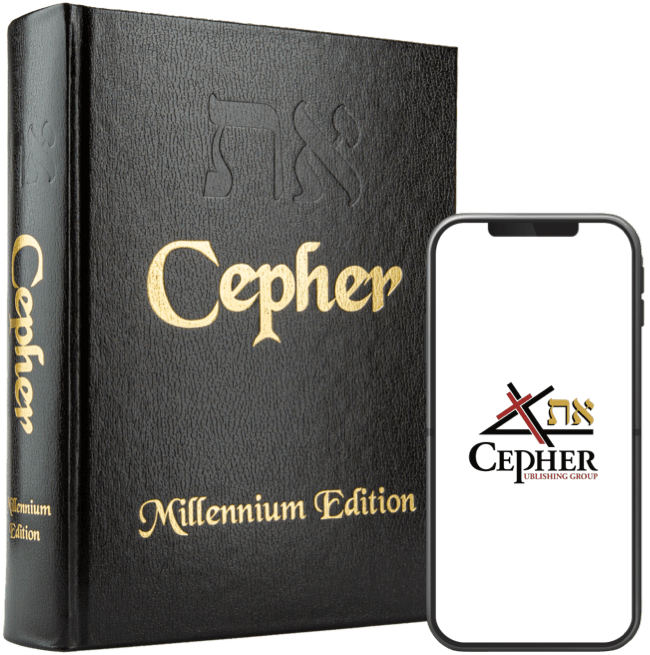 We realize that this is unusual, and that the Eth Cepher is the only text in the world which sets forth the English pronunciation of the Tetragrammaton and the true name of Mashiach (in accord with the accurate historical record). The Hebrew commentators would do well to consider that our task is to bring a comprehensive restoration of sacred scripture in the English language, - a language in which we have substantial expertise. As much as the Ruach HaQodesh may allow the name of Jesus to remain in your lexicon, and as sweet is the name Yeshua (salvation) to the ear, we are called to restore an accurate record. Where the sacred names are concerned, we believe we are accurate in our presentation.